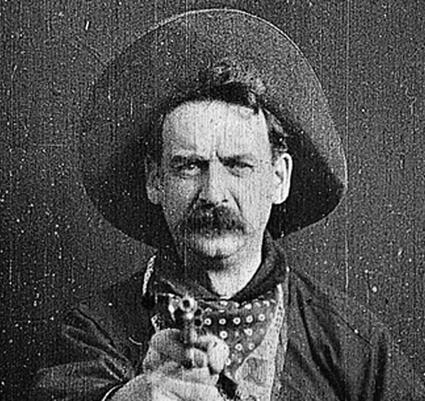 Clips from classic black and white films like “The Great Train Robbery” will be shown. PALMDALE – The Palmdale City Library will present a free lecture and screening titled “The First Movies” this coming Monday, April 8 at 6 p.m. in the Community Room of the Library, located at 700 East Palmdale Boulevard. Clips from classic black and white films including “Voyage to the Moon” and “The Great Train Robbery” will be shown. “Whether you are a serious movie buff or a casual movie goer, ‘The First Movies’ presentation will be an entertaining, educational and fun way to spend a Monday evening,” Vose said. 2 comments for "“The First Movies” featured at Palmdale City Library"
I Googled the first motion picture of the horse galloping and it was quite good, as good as some silent films 30 or 40 years later. This scene from “The Great Train Robbery” was shown in the opening of “Tombstone”…narrated by none other than Mr. Robert Mitchum.